If you’re like us, you love the great Midwestern foods you grew up on and you love experiencing new flavors. Yes? And if you love to cook, we have just the thing for you! Join Amy Thielen, the award-winning author of The New Midwestern Table, at Coteau des Prairies Lodge on March 20-23rd, 2017 for a truly unique food & wine experience. Amy Thielen is a well known advocate for the foods we northerners cherish, breathing new life into these staples which are often overlooked by the world of foodies. Meat loaf and seven-layer salad may not sound all that glamorous, but Amy’s experience as a chef in New York City has influenced her interpretation of such ‘ordinary’ foods and inspired a new generation of cooks to get back to their roots. Amy’s emphasis on gathering and preserving foods from garden, farm and field complements the current culinary trend of utilizing more healthy, flavorful and sustainable ingredients. Amy Thielen, a native of northern Minnesota, is a two-time James Beard Award winning writer and is the host of the James Beard-nominated instructional cooking show Heartland Table on Food Network. At Amy Thielen’s Food & Wine Retreat, you will spend plenty of time with Amy over the course of 3 days of classroom and kitchen training. 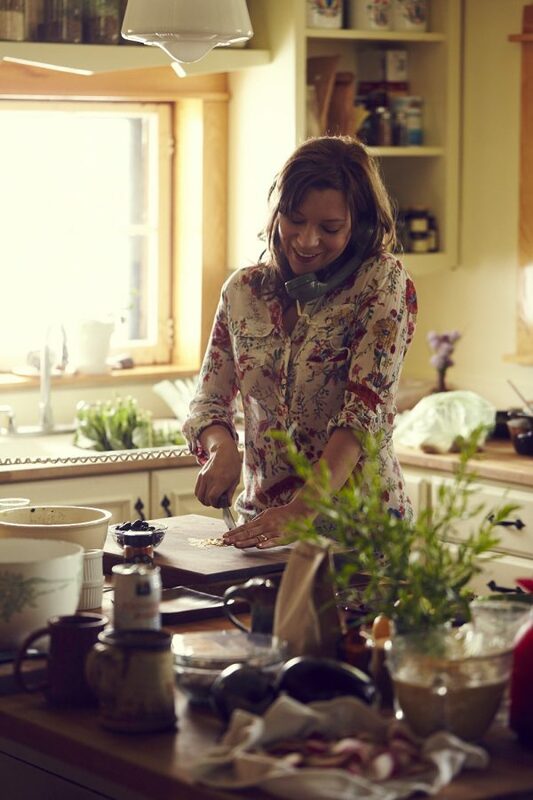 Amy will share her secrets of successful recipe development and ideas for assembling treasured family recipes into a cookbook for future generations. Learn how to creatively expand your pantry with seldom used but easily accessible ingredients grown in your garden or purchased down the street at your local grocery store. Pick up some new kitchen skills from a trained chef who has ‘worked the line’ in world-renowned restaurants. Become immersed in the subject matter as each meal served at the retreat features Amy’s recipes. Enjoy wine and local beer pairings from a curated list selected just for the retreat. A lot of free time is built into the schedule for you to relax, enjoy the lodge accommodations and take in the natural beauty of the prairie surrounding the lodge. This retreat is limited to just 20 guests, so its an opportunity for you to really get to know our ‘local celebrity’ chef. You will even have the rare opportunity to work along side Amy as kitchen and/or front house staff as she preps and executes a multiple course food and wine dinner for up to 80 guests at Coteau des Prairies Lodge on March 22nd. If you would rather experience the dinner as a dining guest, you will have the option to purchase a dinner ticket before they go on sale to the public. Included with your registration fee is a 3-night stay at Coteau des Prairies Lodge, admission to Amy Thielen’s Food & Wine Retreat (including the opportunity to help Amy Thielen with the public dining event on March 22nd), all meals, and special gifts from Amy Thielen and Coteau des Prairies Lodge. With your registration, you also have first option to purchase reservations for the March 22nd Food & Wine Dinner if you prefer to dine instead of being a part of Amy’s staff. The price is $999 (plus online registration fee). Price is per person for a shared room. For a single room, add $300. If you have questions about the registration process, please email Phillip Breker at phillip@cdplodge.com. This event is limited to 20 guests. Priority given to paid registrants. Partial refunds for cancellation available until March 1st, no refunds available thereafter. Amy Thielen is a chef, a TV cook, and a two-time James Beard Award-winning writer. She grew up in Park Rapids, Minnesota, near the headwaters of the Mississippi River, and graduated from Macalester College. For three years she and her husband, visual artist Aaron Spangler, lived in a rustic off-the-grid cabin he built in the Two Inlets State Forest outside of Park Rapids, where she picked up her cooking and gardening afflictions. In 1999, they moved to New York City where she worked for celebrated chefs David Bouley, Jean-Georges Vongerichten, Daniel Boulud, and Shea Gallante. In 2008, she left the hot line and she and Aaron and their son moved back home to northern Minnesota. 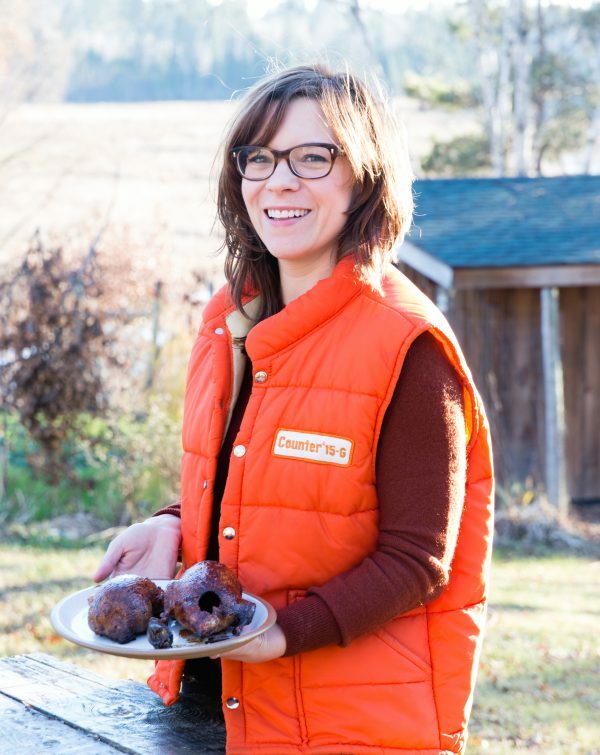 She is the host of the James Beard-nominated Heartland Table on Food Network, an instructional cooking show filmed in her rural kitchen in northern Minnesota. Her first cookbook, The New Midwestern Table, was published in 2013 and won the James Beard Book Award for American Cooking. She writes about food for newspapers and magazines, including Saveur, where she is a contributing editor, and has appeared in many others, including People, Food Network Magazine, Country Living, and Reuters, among others. 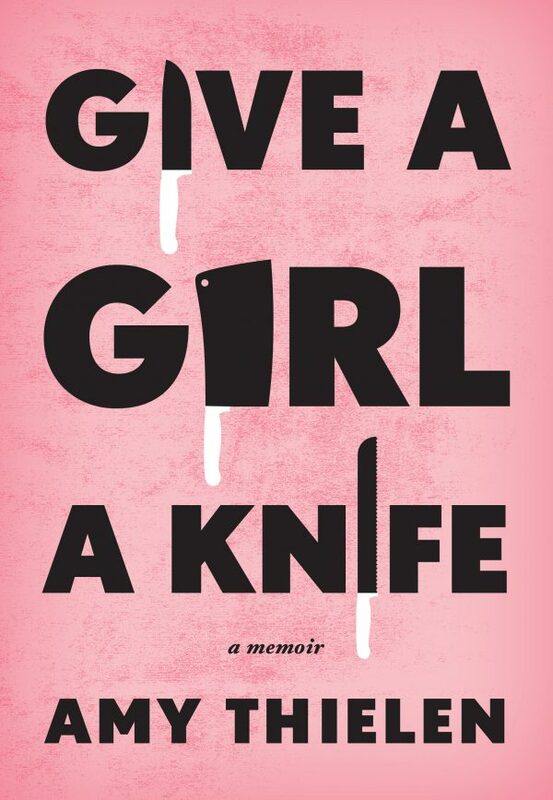 Her second book, a memoir called Give a Girl a Knife, comes out May 16 from Clarkson Potter. Amy lives with her husband, Aaron, their son, his dog, a bunch of chickens, and a huge vegetable garden, in rural Park Rapids, Minnesota, in the house Aaron built years before–now fully hooked up to the 21st Century grid. A recovering professional chef, she now thinks of herself as a home cooking civilian, and develops recipes to fit her own small-town limits, sticking with ingredients she can find at the local grocery store, in her garden, and in the woods. Her food is rustic but extravagant, rich with honest fats and vegetables, original, and thrifty; she is not afraid of butter or burnt ends. 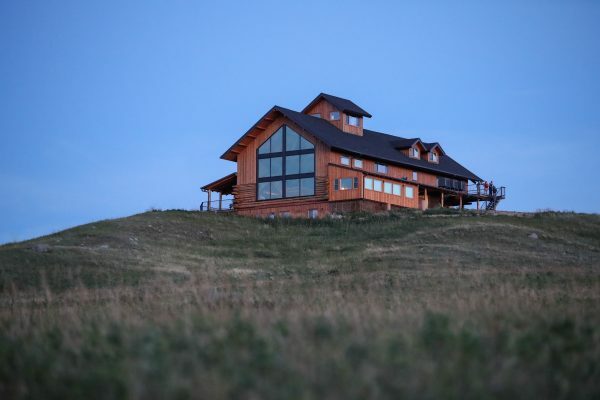 Coteau des Prairies Lodge, near Rutland, ND, is truly a one-of-a-kind getaway experience. Perched on the northernmost ridge of the Coteau des Prairies, where the breathtaking view is second to none, prairie farms and fields unfold from below like a patchwork quilt. You will find yourself at home at our rustic, yet refined lodge, constructed with native North Dakota pine. With custom log and steel architecture, you will be awed at every turn, from our magnificent great room to our signature lookout. In the pasture surrounding the lodge, where our cattle graze, you will find a new kind of relaxing getaway. Created and operated by a farming family, the lodge atmosphere embodies the legacy of the multi-generational farms from our area. Cookbook Writing Workshop: 10:00 to 2:00 p.m.
Food & Wine Dinner: 6:30 p.m.
5 course plated dinner highlighting Dry-aged Breker Beef, wildflower honey, and wheat from the farm—menu tbd.